Hot on the heels of Bohemian Rhapsody‘s box office success, Queen has just announced they’ll hit the road in 2019 with the “Rhapsody” tour. Adam Lambert will once again join remaining original Queen band members Brian May and Roger Taylor for the North American tour which will visit 23 cities next summer. Spike Edney will handle the keyboards, Neil Fairclough joins the tour on bass, and percussionist Tyler Warren is also committed to the “Rhapsody” tour. 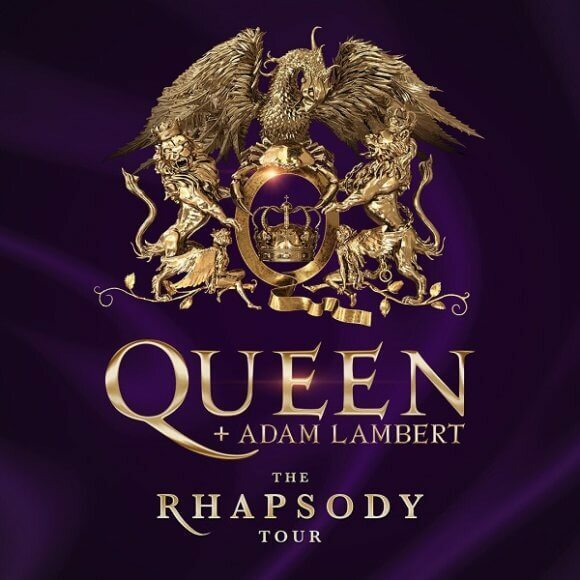 The “Rhapsody” tour will kick off in Vancouver on July 10, 2019 and will stop in cities including Dallas, Los Angeles, New York, Orlando, and New Orleans. The tour’s set to finish up on Friday, August 23rd at the Spectrum Center in Charlotte, North Carolina. “We are ready for America and raring to get back in the saddle,” said Roger Taylor, announcing the upcoming “Rhapsody” tour dates. “We have been designing a brand new visual spectacle that will reframe these iconic songs and we are excited to unveil it!” said Lambert about the 2019 tour. Adam Lambert first performed with Queen on the 2009 season final of American Idol. He’s since paired up with the iconic rock band for 180 shows. “This is a great opportunity. Our last tour featured our most ambitious production ever and got us our best notices ever. So we decided to rip it apart and get even more ambitious! Watch out, America!” added original Queen band member Brian May. Set designer Ric Lipson promises the 2019 tour will be a larger-than-life production. “Queen + Adam Lambert’s Rhapsody tour will, once again for them, expand the parameters of what a live music experience can be. This new show promises to be their most spectacular yet, an innovative and interactive celebration of the continued power of Queen’s music,” said Lipson. The general public will be able to purchase “Rhapsody” tour tickets beginning December 7 at 10am local time via LiveNation.com. A special presale will take place on December 6th for members of the Queen and Adam Lambert Fan Club.